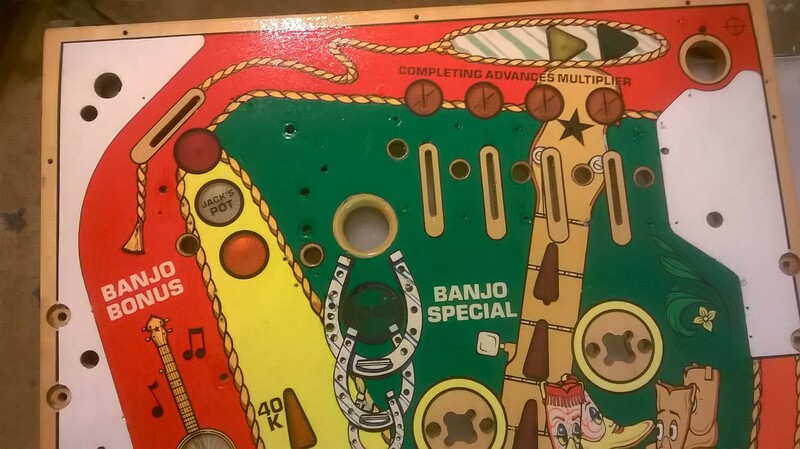 Now, this is what you call a hell of a deal. 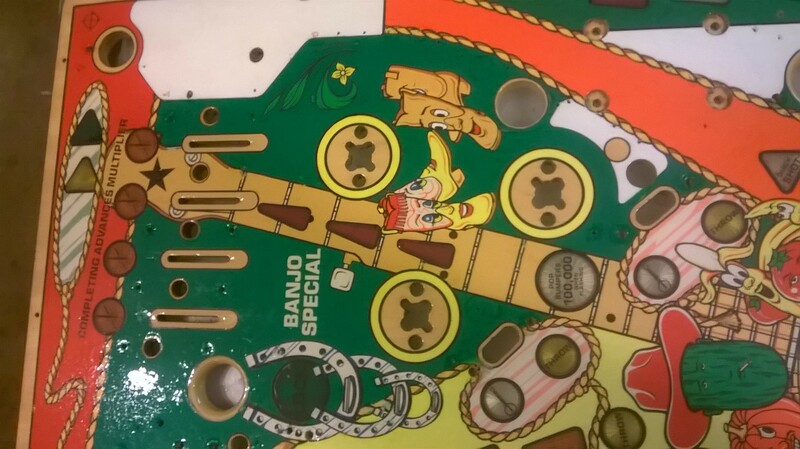 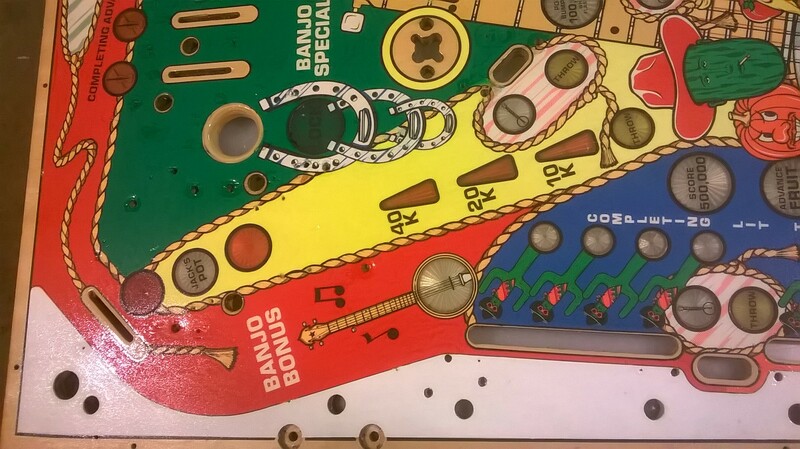 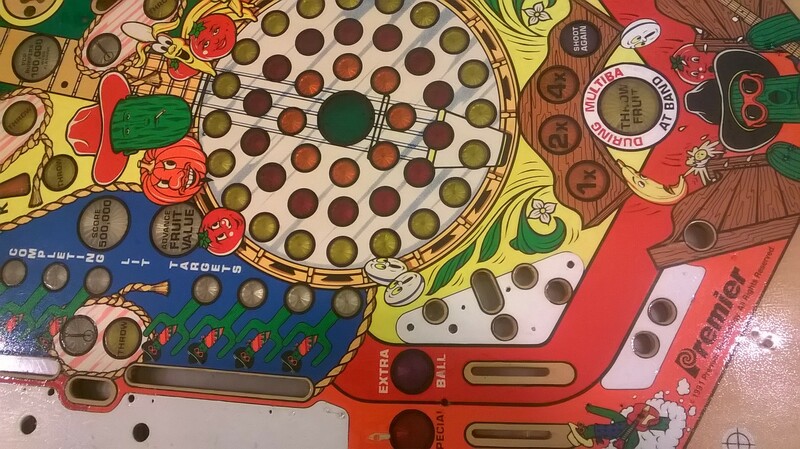 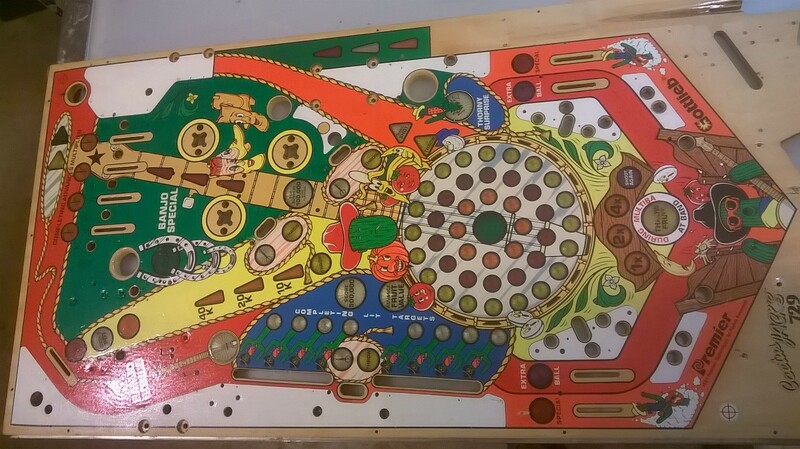 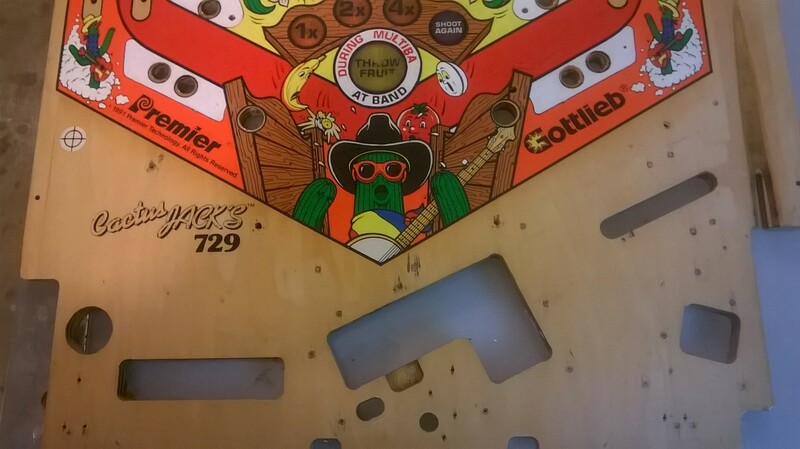 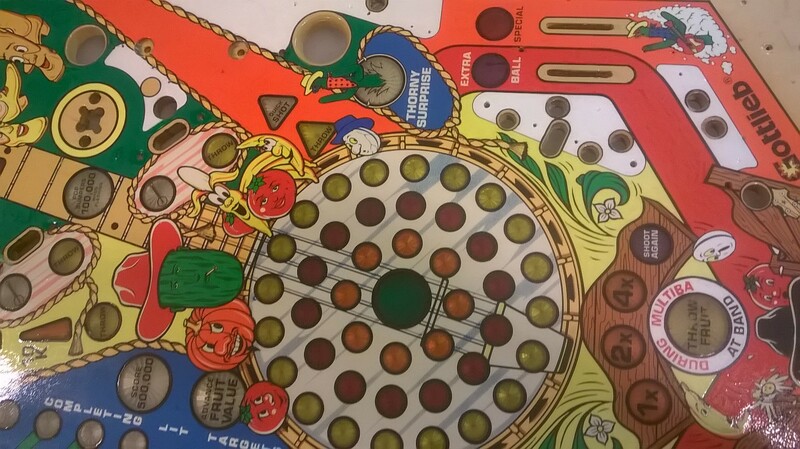 This playfield has already been touched up and has a sealed in a layer of clearcoat on top, it just needs a finishing coat. 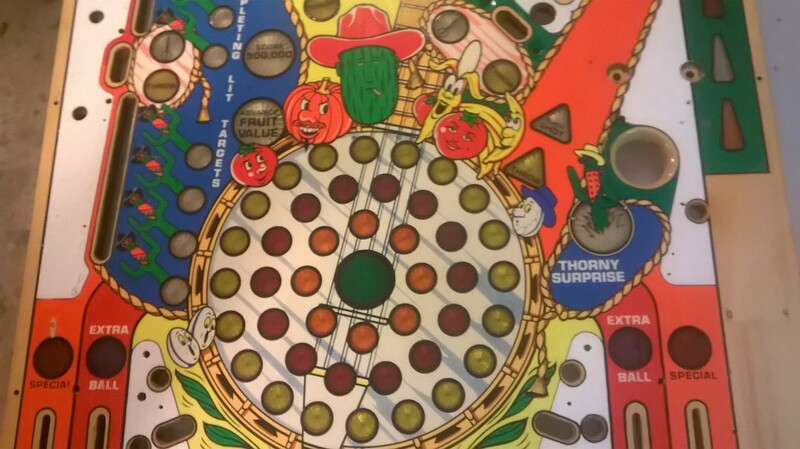 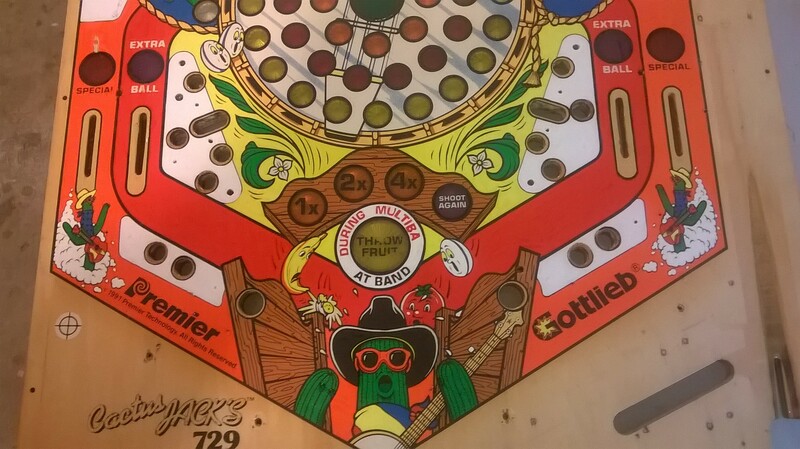 Obviously not the most popular game ever made, but still a fun one to shoot, and those Gottlieb System 3 games are notorious for playfield wear. 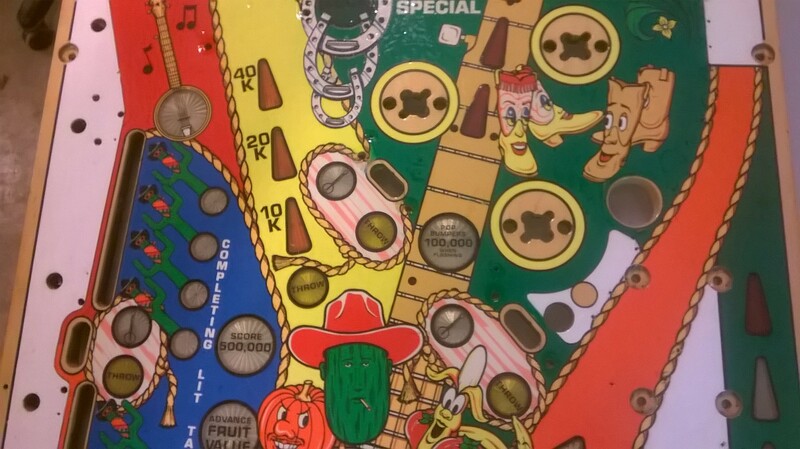 If you have this game in your collection you may as well make it shine like a desert flower, only $150 will get you this sweet, sweet Cactus Jack’s!